NeoStrata HQ Skin Lightening Gel is formulated with 10% Polyhydroxy Acids that help remove hyperpigmentation by gently exfoliating dark spots and enhancing cell turnover. Antioxidant chelators help to capture pigment promoting metals in the skin while Hydroquinone (2%) helps lighten discolorations. 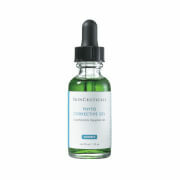 Added Kojic Acid (3%) and licorice extract promote an even complexion. NeoStrata HQ Skin Lightening Gel will effectively lighten skin discolorations such as freckles, age spots and hyperpigmentation that may occur from pregnancy or from the use of oral contraceptives. Formulated with a combination of skin brightening and lightening ingredients. Gently exfoliates dark spots and enhances cell turnover. Apply a thin layer on affected area twice daily or as directed by a doctor. 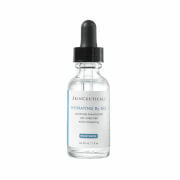 Limit sun exposure during and after use to prevent darkening from recurring. Use of sunblock or protective clothing is recommended when outdoors. On its own, no. But. . .
On its own, very disappointing.But here's what I did to finally make the weird grayish splotch on each temple almost go away:+In the daytime, when I'm working at home, I applied Dr. Denise Advanced Firming Facial Pads liberally across my entire face.+At night, I used the Neo Strata on the spots and followed with Retin-A (usually StriVectin-AR).Have no idea where or why these splotches came from. My skin, except for smoker's lines, is normally the envy of everyone I know. I bought this after my aesthetician recommended I get something with Kojic Acid in it for my malasma. I really wanted this gel to work, but after 6 weeks of use twice a day, there was no change to the hyperpigmentation of my skin. The fact that this is a gel is a con too since it doesn't really absorb into the skin and stays sticky for a really long time. Since I stopped using this I went to a dermatologist who gave me a 4% HQ cream, and within a week my melasma was almost completely gone. The HQ script was cheaper and smells bad, but it works. I have tried a number of products to lighten some sun damage spots. Most were very expensive and none of them worked. NeoStrata HQ Skin Lightening gel works so well! I began to see results within a couple of weeks and I was only using it once a day. The spots on my forehead and cheeks are barely visible....you have to look for them to see them. This is a great product and the price is so worth it. My only complaint and it is minor, is that it stays pretty sticky for a long time so I only use it at night. I would recommend this product to anyone with the same issue of spots from sun damage. I bought this and have used it for a few weeks or so. It's very expensive considering the small tube you get. It also has an odor that doesn't smell to great. With that being said, I do think it lightened the area I used it on some. I think that with consistent use over a longer period of time I will see results. I will say that it made the area that I applied it on very, very soft and smooth. Wow! I'm very pleased with that. I have been usin this twice daily for about a month and have noticed the brown melasma spots on my cheek are lighter. I'm goin to keep it up with hopes that they will eventually completely disappear. I recently purchased NeoStrata, after it was recommended to me for hyperpigmentation that I had gotten on my upper lip; from which my dermatologist said was most likely caused from a combination contraceptives, tanning, and waxing.Ive had the product for 7 days and have been using it twice a day. There has been a slight color change, but nothing drastic. I did noticed a softer, tighter texture to my skin in the areas in which I was applying it and have since applied it on other areas on my face for sun damage as well. The sun damage is already noticeably lighter.I would recommend this product and look forward to seeing future results in my hyperpigmentation and will update on the final results after some more time passes. i recently became aware of a brown spot on my cheek. i'm only 32 but after years of exposure to the sun, my skin had paid the price. I began see changes immediately & within a week not only had the spot shrunk but the rest of my skin looked better too! I experienced slight irriatation & tightness when I used too much. A little goes a long way. This product will remain a staple in my beauty regime. I have had a brown spot on my cheek for the past few years and recently noticed a few age spots developing on my hands. I tried a few of the creams from the drugstore, but nothing worked. I purchased this gel just over a week ago and have put it on the spots twice a day. Unbelievably the spots are 50% lighter than when I started. After the first week I have started only putting it on at night because it does have an unpleasant smell and dries a little sticky. That being said I am thrilled with the progress on fading the age spots and will order this product again. I have been using this lightening gel for years to lighten up acne scars on my face. It works great for lightening up dark spots and it also has improved the texture of my skin. I would definately recommend this product.